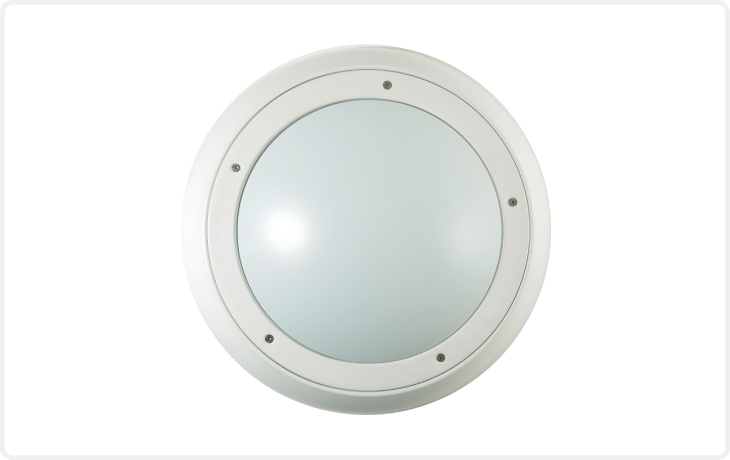 Round bulkhead developed with LED at the forefront of its design. Steel spun body and diffuser frame. Rear fixing holes.